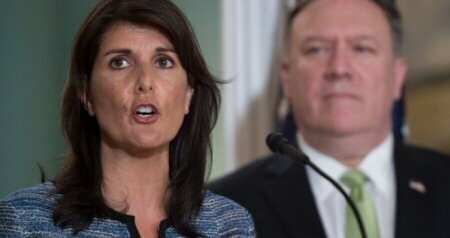 The United States administration declared their withdrawal from the UN Human Rights council on Tuesday, accusing it of anti-Israel bias. Niki Haley, US ambassador to the UN, described the body as a “cesspool of political bias” because of its focus on human rights abuses in West Bank and Gaza. She claimed that Israel had a “positive human rights record” and was being used as a “scapegoat” to cover up for member states like the Democratic Republic of Congo, who, according to her, have committed far worse atrocities.